DBT is a treatment that saves lives. Dialexis allocates Certification to professionals who have gone through a rigorous assessment process of their qualifications, knowledge and capacity to adress DBT. 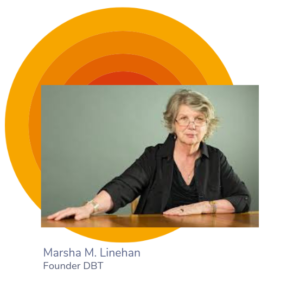 As developed by Dr. Marsha M. Linehan, DBT is recognized by HHS / SAMHSA, an US federal agency, as an evidence-based treatment. DBT certification of Dialexis is the only Dutch DBT certification recognized by Behavioral Tech. DGT certification, like other types of certification in mental health care, indicates that a professional is willing to be judged by experts and is prepared to comform to strict professional standards. Candidates for one of the following certification trajectories will have to meet the entry requirements. The entry requirements differ per programme.